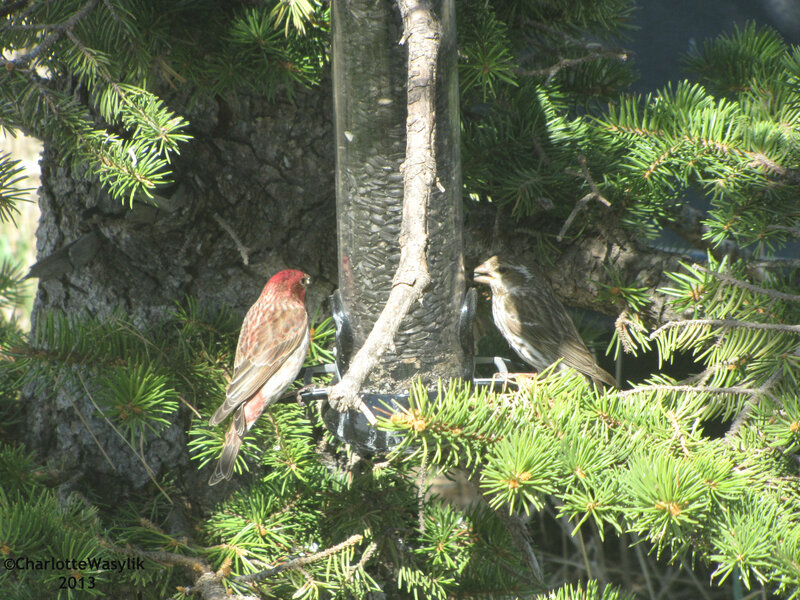 This entry was posted in Alberta Birds, Birding, Blogging, Feeding Birds, Spring and tagged Birds, Purple finch, WBW, Wild Bird Wednesday. Bookmark the permalink. Like your many recent photographs Charlotte – this is just great – I too have a couple of pairs of purple finches and love that they visit and seem to nest nearby. Also liked the post on the returning birds – great photos again. Well done! We don’t see these down here in South Florida. Nice visitors to the feeder! The Purple finches are great birds, nice photo! Such pretty birds, and nice shots of them. These finches are good looking – I’d like to see some in the feather. Nice shot of your visitors with lovely songs.